Betty Boop had a brood of 10 babies she was caring for in an abandoned farmhouse, and the moment she leads rescuers to them is a moment you won’t soon forget. 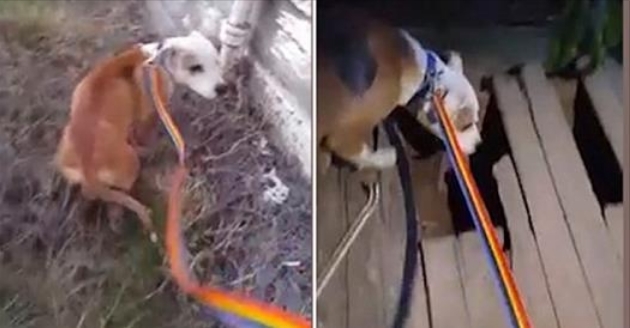 The Pinky Paws ResQ shared this video of the abandoned mother pooch, who was “dumped in the country for who knows how long,” according to the caption, and was traveling two miles every day to provide for her puppies. The rescue was being inundated with sightings of the stray near Fowler, California. A plan to rescue the family eventually came to fruition. The adorable scene that plays out in the video — in which the 10 puppies are found — is, clearly, based on one thing: trust. Responses to "Stray mama dog leads rescuers two miles into the country to collect her 10 puppies "